Resident Evil 2 is only a few days out from release, but it's already a hit for Capcom. It's a critical success with a Metascore around 91 and has already shipped 3 million copies since launch. Resident Evil 2 actually raises the bar on remakes, bringing a 1998 classic into the year 2019. It wouldn't be surprising if a Resident Evil 3 remake (R3make?) was already on Capcom's radar. Back in August during a financial earnings report, the publisher noted that Resident Evil 2's remake was seen as a major release for 2019 and it was looking at other remakes in the future. "Further, regarding remakes and rereleases of titles in our back catalog, we expect to explore these further with a variety of properties as a part of our strategy to utilize our library of IP," said a Capcom spokesperson. While we might have to wait a long time for a Resident Evil 3 remake—likely after a proper Resident Evil 8—it's not difficult to look at Resident Evil 2 and come up with a wishlist of new and returning features. In the original Resident Evil 2, Mr. X was a scary antagonist, but he wasn't a living freight train intent on hunting you throughout the entire map and crushing your body with his meaty fists. He was just Tyrant from the first game with more screen time. Resident Evil 3's eponymous Nemesis actually improved upon Mr. X, making a mutant horror that protagonist Jill Valentine had to constantly avoid. The remake of Resident Evil 2 brings Nemesis' gameplay back to Mr. X, but this actually weakens Nemesis himself. 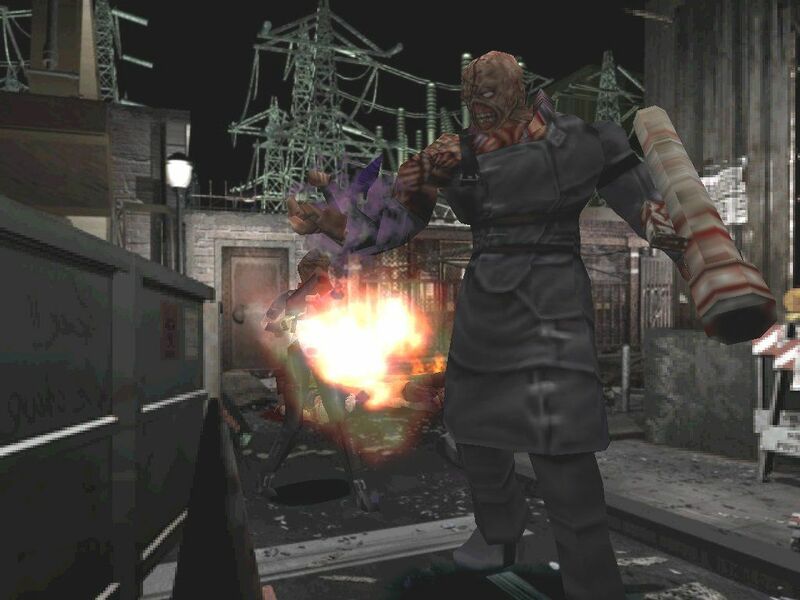 Nemesis was seen as something new back in 1999, but for a remake, he'd be seen as a rough copy of Mr. X. Rebalancing Nemesis would give the player more options: in the new RE2, it's better to not face Mr. X at all. It'd be better for the player to be able to really weigh taking on Nemesis, and perhaps offering special weapons and items for actually downing him. You may not realize it unless you've played the original, but the new Resident Evil 2 actually cuts a few of the enemy types. 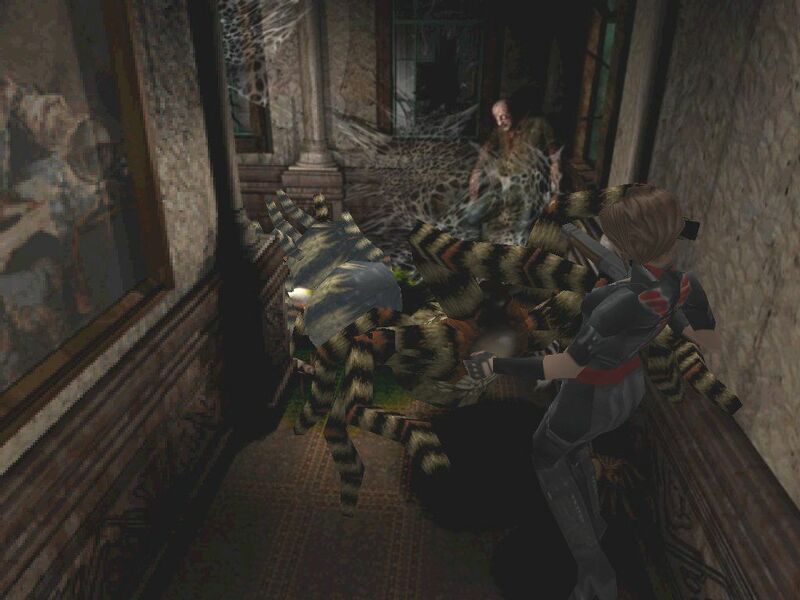 The giant spider, giant moth, cockroach, and crow enemies are all missing in the remake, replaced with rejiggered encounters. If Nemesis is going to be stalking Jill throughout Raccoon City, then she needs to be light on her feet. 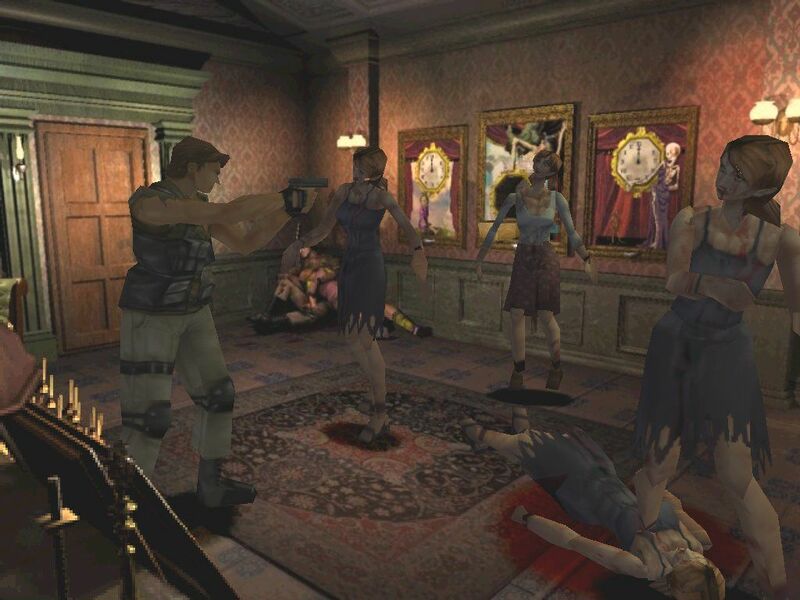 In the original Resident Evil 3, Capcom added a new feature called the Emergency Dodge, letting Jill quickly bounce away from enemies. If you pressed the Action button at the right time while aiming at an enemy, Jill would either push away her target or dodge them completely. Dodge could even be used against the hulking Nemesis. The trick with the dodge mechanic is the execution was fairly tight. Resident Evil Revelations 2 kept the tighter timing, but made the dodge slightly easier to perform by giving it a dedicated button. I'd like to see Revelations 2's dodge brought into the Resident Evil 3 remake, and perhaps slightly loosen the timing constraints. It would save the skilled players from some of the no-win situations you find yourself in Resident Evil 2, like being trapped in a hallway with Lickers and Mr. X. This is another area where it would be nice to utilize some of the content from Resident Evil: Outbreak. I wouldn't make the Resident Evil 3 remake an open-world game, but I would expand the scope of Raccoon City a bit more. Resident Evil 2 is fairly linear, but I think RE3 would benefit from something like God of War (2018) or The Evil Within 2, offering a mix between linear and open-world play. Again, Outbreak maps could be used to flesh out Raccoon City here. Add in J's Bar, the Underground, the University, or Apple Inn to really ground the player in the virus outbreak. These don't need to be mandatory locations for the main campaign, but one of the things missing in Resident Evil 2 and the remake, is a feeling of the state of the city and the scope of the outbreak. Instead, you spend most of your time indoors. A larger version of Raccoon City also lets Capcom beef up the Live Selections. These branching story paths were time-sensitive in the original Resident Evil 3, sending Jill to different parts of the map and changing which survivors she encountered where. More choices means more replayability, and gives players a chance to share their versions of Jill's adventure with others. Carlos Oliveira is a part of Resident Evil 3 and a fan favorite. Unfortunately, while he's a part of Jill's story, he doesn't really get to do much. Carlos should be playable in the Resident Evil 3 remake. Capcom can flesh out more of Carlos' journey through Raccoon City, including his squad's entry into the city and what he did during the two days that Jill was unconscious after one Nemesis encounter. I wouldn't give Carlos a campaign equal in length to Jill—making it somewhat similar to Ada's Separate Ways campaign from Resident Evil 4—but adding a bit more meat to Resident Evil 3's story isn't a bad idea. I'd also let Jill have a bit more interaction with the survivors of Raccoon City, bringing some of the side characters from the original into the main story while allowing saving them to be optional tasks. Bring in some of Outbreak's survivors as nice Easter Eggs: I wouldn't make them playable in RE3, but you can check in and help them. Long-time fans would appreciate the nod, while new players would just see them as an enhanced supporting cast. And if Resident Evil 3 Remake has downloadable content similar to Resident Evil 2's Ghost Survivors, Capcom already has Outbreak characters and campaigns to draw from. This would go on to become a larger part of Resident Evil games, but Mercenaries actually first appeared in Resident Evil 3. (Technically, the first Mercenaries was an improved version of 4th Survivor, but this was better.) Players would step into the shoes of Carlos and his squad, killing zombies for time and points. I'd lean on the more arcade-style Mercenaries from later Resident Evil games, with cooperative play and multiple characters and costumes to unlock. Stop messing with my knife, Capcom. That ain't right. Assuming Capcom sticks with the rough release cadence it has established, Resident Evil 8 would be a 2021 release, putting Resident Evil 3 way out in 2023. That's well in the middle of a potential next console generation. We have a while to wait, but if Capcom puts in the effort it did with Resident Evil 2 (2019), a newly revitalized Resident Evil 3: Nemesis could be another benchmark game in the series. Tagged with Capcom,	Feature,	PC,	PlayStation,	PlayStation 4,	Survival Horror,	Xbox One.